Liverpool’s stunning waterfront and amazing architecture often attracts the eye of location scouts for the biggest blockbusting movies and has done so for over three decades. Take a look at the biggest movies filmed in Liverpool using the striking city streets and buildings as their backdrop. 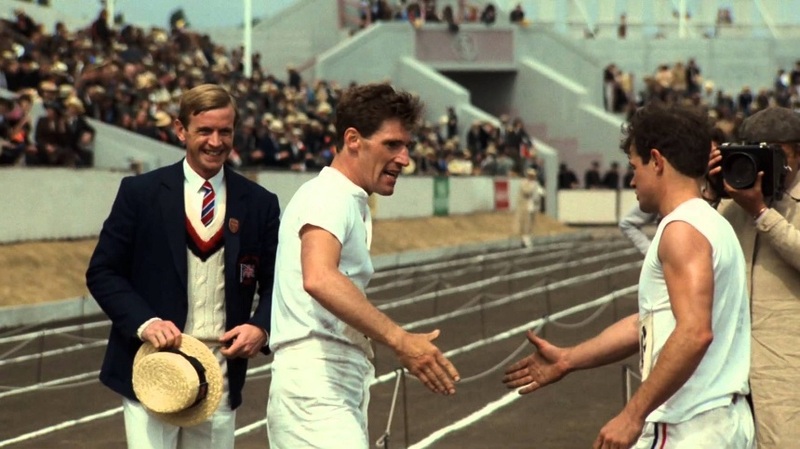 A gripping film from 1981 that depicts the struggles of two men competing in the 1924 Olympics as runners. Filming was shot all over the UK and plenty of recognisable areas of Liverpool and the Wirral. Water Street, The Oval Sports Centre in Bebbington the Wirral (which doubles as a 1924 Olympic Stadium) Birkenhead Woodside Ferry terminal, the Royal Court Theatre and even the Port of Liverpool building make appearances in the movie. A powerful movie starring legend of the big screen Barbara Streisand as, Yentl. The movie tells the story of a Polish Girl who disguised herself as a man to receive an education in Talmudic Law. The final scenes of the movie saw Yentl (Babz) on board an Atlantic steamer headed to America, but we all know this was, in fact, the Isle of Man Ferry Boat bobbing along on the Mersey River. Of course, we couldn’t leave out the iconic Shirley Valentine showing a Liverpudlian middle age housewife rekindling her youth in Greece with a man named Costas. 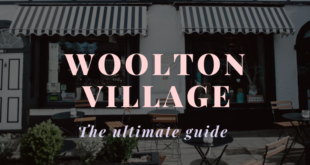 The start of the movie is shot in Liverpool inside Shirley’s home and around the neighbourhood, then follows her off to Mykonos where her new and exciting life takes shape. Instead of the snowy streets of Moscow, scenes in the espionage thriller starring none other than Sean Connery were shot in Liverpool. 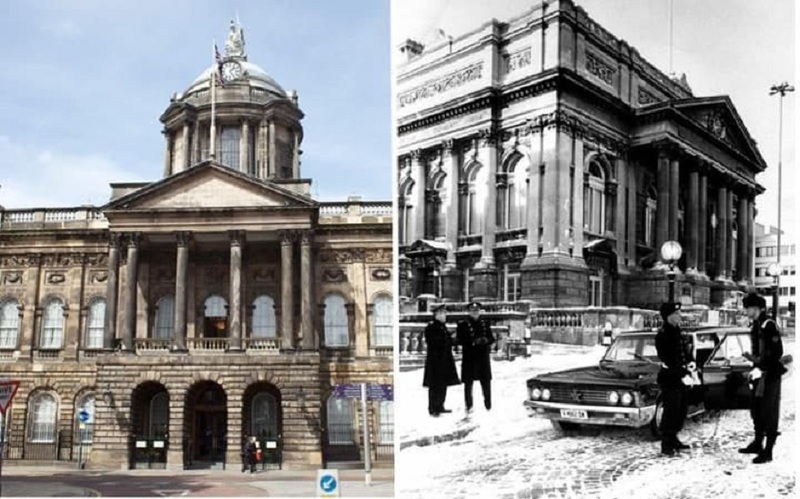 The stunning neoclassical architecture of Liverpool Town Hall and William Brown street lent itself well as the scenery for a 1984 Russia. A relatively unknown British drama, Let Him Have It, starring Christopher Eccleston playing a man who was sentenced to death after being charged with a joint enterprise in the shooting a police officer. Locations for the movie included Liverpool docks and New Brighton which served as Croydon town centre. The movie was based on a true story from 1953 and when it was filmed in 1991, Bentley’s sister Ingrid was fighting to overturn his conviction, a plea that was finally won in 1998. Margi Clarke plays a young woman, Ronnie O’Dowd, who flees her home town of Kirby in search of her father in the Big Apple. The film is set in New York and illustrates Ronnie’s rise to becoming a successful female boxer. Scenes of boxing matches were said to have been shot in the Liverpool Olympia. Award winning court room drama based on the story of the Guilford Four, IRA’s pub bombing of 1974. 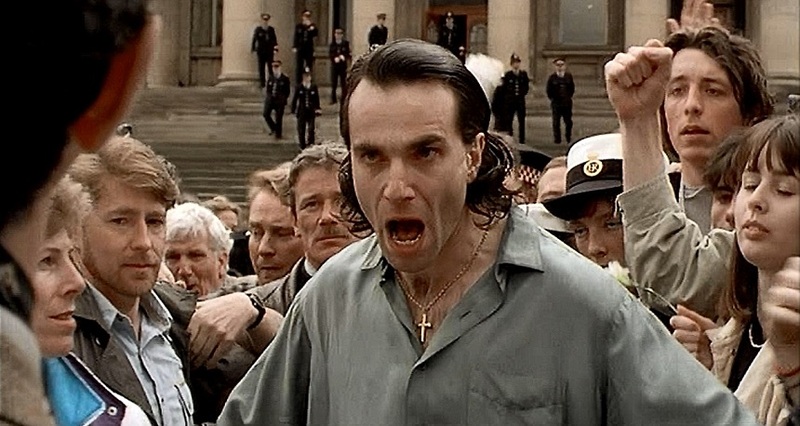 An all-star cast including Daniel Day Lewis and Emma Thompson re enact the story of those wrongly accused in the Guilford bombings. Scenes shot in Liverpool serve as an alternative to London with sites including the entrance to the Queensway tunnel, the James Munro pub, Huskisson and Canning Street. There are even interior shots of St George’s Hall that serves as Court rooms and the World Museum becomes the front of the Old Bailey. 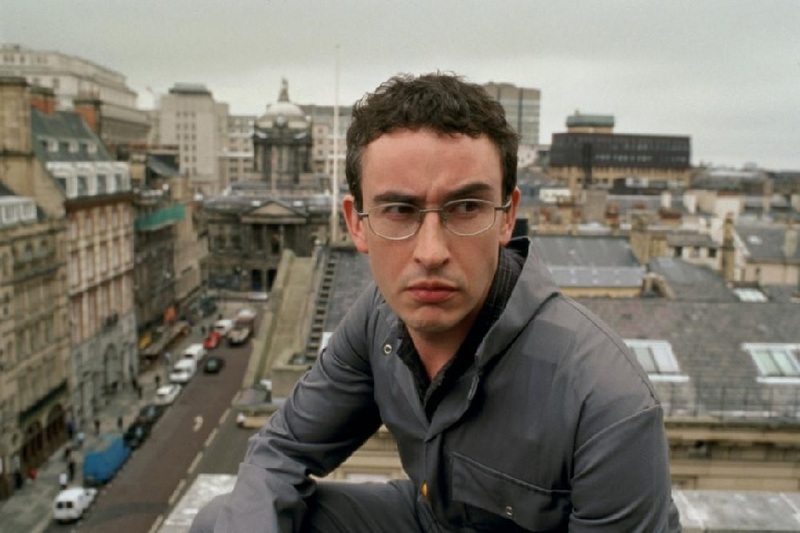 Steve Coogan’s first film role sees him play a parole officer who takes to the streets of Manchester with a band of criminals to prove his innocence for murder. The funny thing is that much of the filming took place in Liverpool most notably the bank heist was filmed on Castle Street in what was once the Bank of England. A film that follows three lucky Scousers in 1927 as they travel overseas working as waiters. When they arrive on US soil they are enrolled in a bootlegging gang and become part of Al Capone’s crew. Due to the huge amount of early transatlantic trade leaving from Liverpool, Scousers could travel the world. Following an article written in the Echo about the basis for the story of Al’s Lads, there was a massive response from Liverpool residents about their families having worked for Capone being either bodyguards or booze runners during prohibition. It seems that some of the streets that were supposed to be 1920’s Chicago were actually shot on Water Street in Liverpool. An obvious one but what a great film this is. 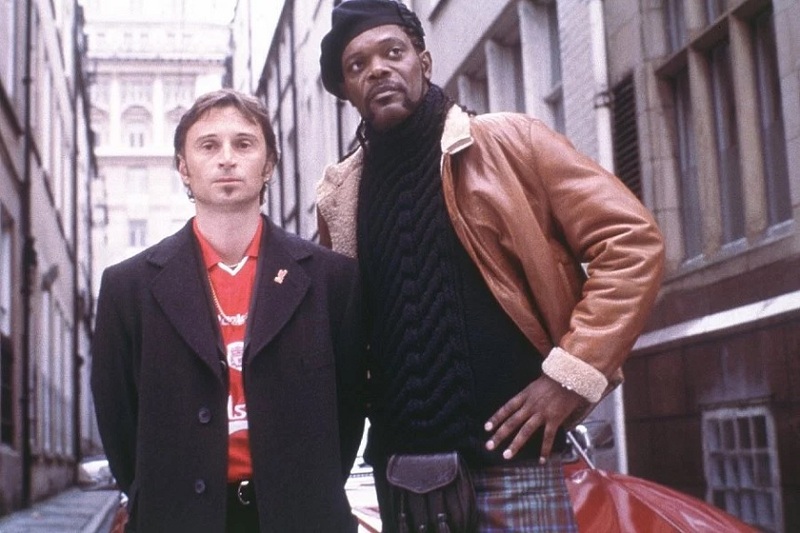 A star-studded cast including Samuel L Jackson and Robert Carlyle filmed scenes for the movie all over Liverpool in locations such as Anfield, the India Buildings and Pier Head. 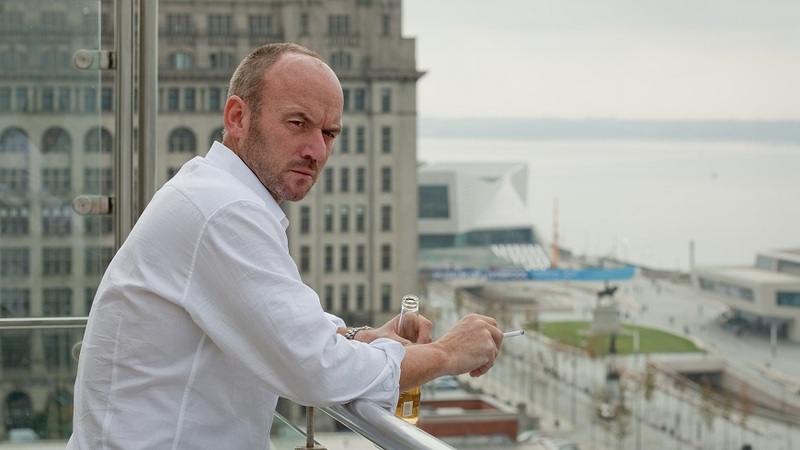 Either Jude Law loves Liverpool just as much as we do or he’s just been lucky enough to have acted with directors who enjoy what Liverpool has to offer. Filming for Alfie took place on Crosby beach a favourite among Liverpool visitors and tourists alike. Multi award winning director Danny Boyle directed Millions, a comedy drama about a pair of boys who stumble upon a mound of cash in Widnes. 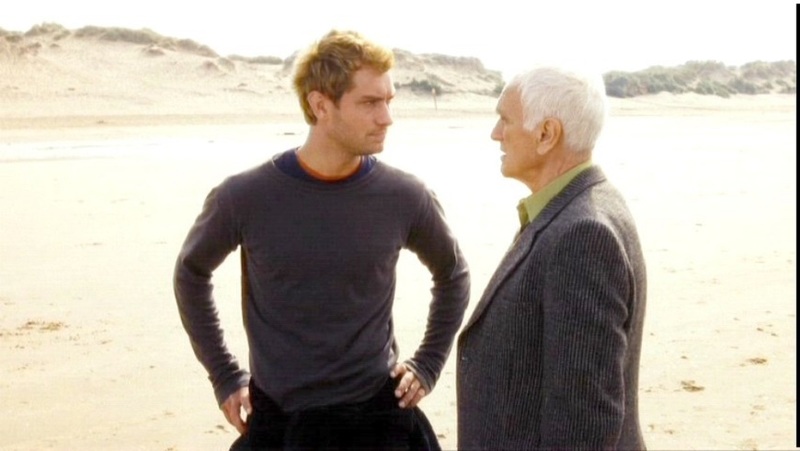 Scenes for the movie were shot also on the beautiful Crosby beach. Why would Batman want to visit Liverpool? A question many asked of The Dark Knight’s location manager. Answer; Liverpool’s stunning waterfront, which if you look closely features in a few shots of the blockbusting movie. The adaption of Arthur Conan Doyle’s fictional private detective Sherlock Holme’s made it onto the big screen in 2009, thanks to Guy Ritchie. This blockbusting movie saw the talents of Jude Law as Dr Watson and Robert Downey Jr as the skilled detective. Both actors graced the Stanley and Clarence docks of Liverpool with their presence during filming for a particularly explosive scene in the hit movie. Of course, a movie about the young life of John Lennon is bound to feature some scenes of real life Liverpool. 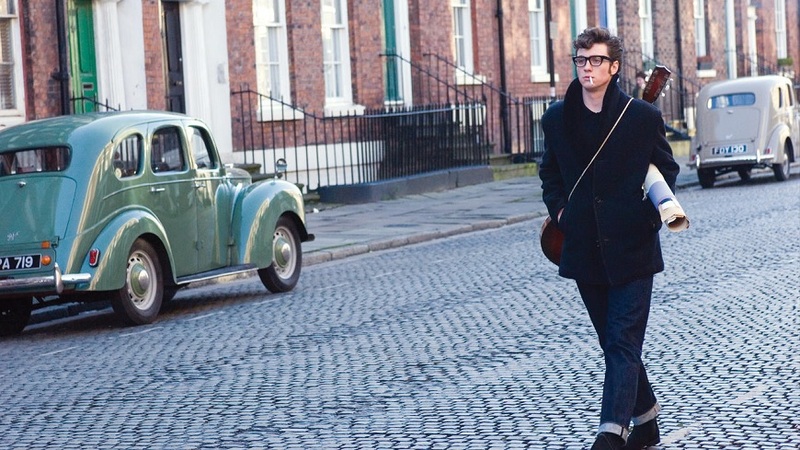 Although a lot of “Nowhere Boy” was actually filmed in London. Parts of Liverpool featured in the film include St George’s Hall, Sacred Heart Catholic College in Crosby, Mendips, Woolton Picture House, Liverpool docks, the Mersey River, South Brick street and the Liverpool Cathedral. Who can forget the scene where Hagrid and Harry defy the Deatheaters by flying through a muggle filled tunnel on a flying motor cycle and side car? The Birkenhead tunnel was closed for routine maintenance and the scene that appears briefly in the movie took a whopping four days to shoot. Not only is this gripping Ken Loach film shot and set in Liverpool, it also names Liverpool comic treasure John Bishop among its cast members. Locations shown in the movie included the Merseyside Dance Initiative on Hope Street. The Malmaison Hotel, on the River Mersey and St Brides Church on Percy Street. Loach is a world-renowned director that likes to tackle political and cultural issues through his work. The director has been quoted as praising Liverpool as a great place to film. These same docks appeared yet again in another recent movie. This time a Marvel comic adaption of the Avengers. Stanley dock underwent a little makeover and was then transformed into a 1940’s New York City centre location. Fans of the fast-paced, fuel, injected Fast and Furious movies will love visiting Liverpool where scenes from the 6th instalment of the franchise were captured. Areas around Dale Street and the ever-accommodating Birkenhead tunnel were cordoned off and closed for shooting on November 13th, 2012 and crowds gathered to witness the suped-up cars and dynamic filming. Scenes were shot on Liverpool’s Drury Lane which served as New York’s Central Park West, with other scenes being shot ‘over the water’ at seaside resort Wirral’s New Brighton. In our list of Liverpool film locations and here’s another high octane action thriller, Jack Ryan: Shadow Recruit. Locations in Liverpool include the Canada Boulevard, a street lined with Maple trees to honour Canadian live lost during WWI. The Birkenhead tunnel makes yet another movie appearance as does our stunning World Heritage Waterfront during a night-time car chase. Bringing the legend of Rocky to Liverpool, the movie Creed sees the son of Apollo Creed come to Goodison Park to take on World Light Heavyweight Champion “Pretty” Ricky Conlang, played by Tony Bellew. On screen, locations include Everton Football ground Goodison Park as well as St Georges Hall, Everton Brow and the Three Graces. Meryl Streep visited the city of Liverpool in June 2015 along with her on set hubby Hugh Grant to film the biographical comedy drama Florence Foster Jenkins. 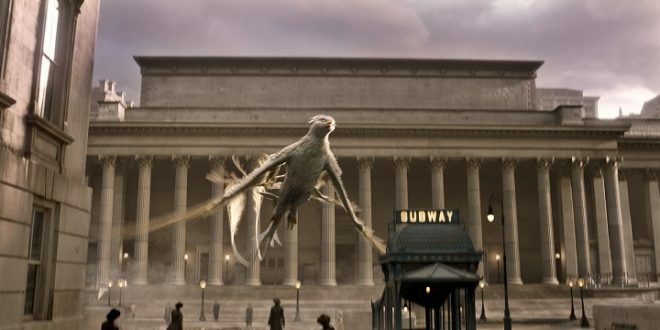 Another spin off to be filmed on the streets of Liverpool, this time from the world of fantasy created by JK Rowling. Based on the life of “Magizoologist” and author Newt Scamander who becomes the eventual author of a school book within the Harry Potter books, Fantastic Beasts and Where to Find Them. Filming locations in Liverpool include the cultural quarter and St George’s Hall which was transformed to mimic a 1920s New York street scene. See how many locations you can spot on your next visit to Liverpool or whilst you’re watching one of the many movies filmed in Liverpool from the comfort of your sofa. See the city a different way and check out our guide to seeing Liverpool from every angle.